Each Spectrum Aqua Marker is dual-tipped - at one each, there's a soft brush nib for flexible line control and a more natural art surface feel and at the other a precise fine tip for definition and accurate line work. Spectrum Aqua is a great addition to conventional water-based paints and other colour media. Its high quality dyes give flawless, even coverage with all the definition and vibrancy you need. Then using water you can diffuse and seamlessly blend colour to create the lifelike tones and subtle touches that will bring added depth and realism to your work. 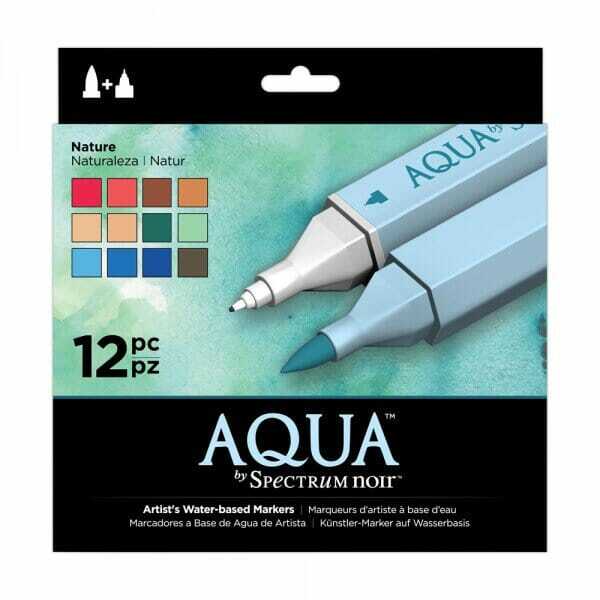 Customer evaluation for "Spectrum Noir 12pk Aqua Markers Set - Nature"